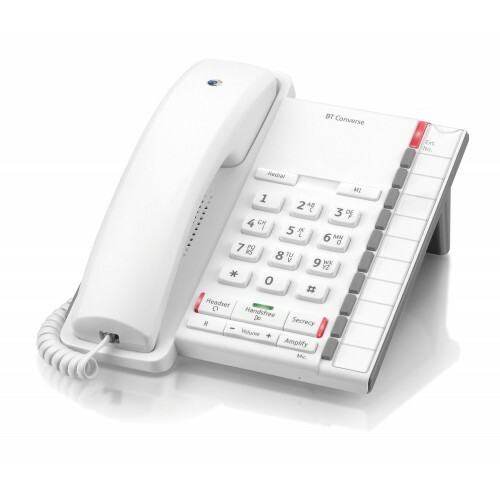 An entry­ level business phone, the BT Converse 2200 boasts several value­ adding features, including a 10­ number speed dialling memory and a message waiting indicator. The phone is available in either black or white. For your convenience, the BT Converse 2200 provides ringer and handset volume controls and a headset socket for those who prefer hands­free communication. It also includes a visual ring indicator and three ringtones to choose from. The BT Converse 2200 is easy to use and highly affordable, making it a suitable everyday phone for small businesses. Excellent phone, especially (but not just) for older people. Incredibly fast delivery from Ligo, and a good price - better than BT. This is an excellent phone with service to match.